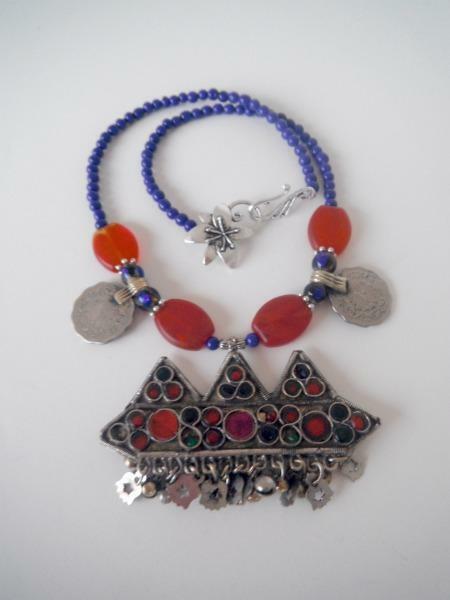 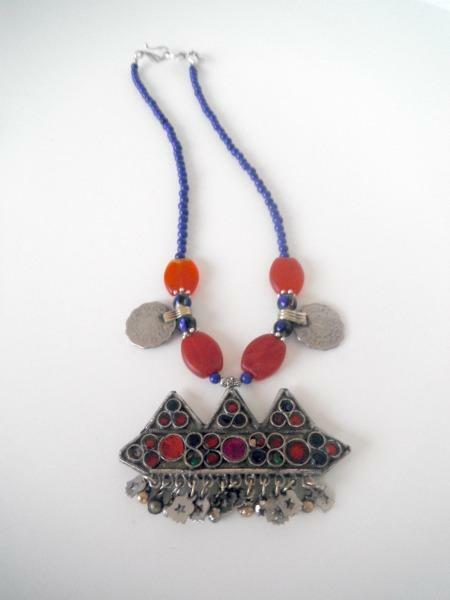 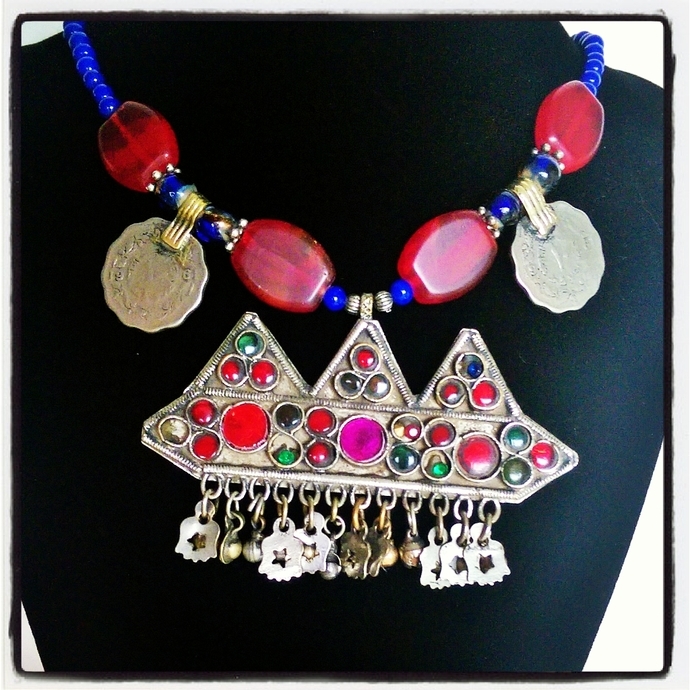 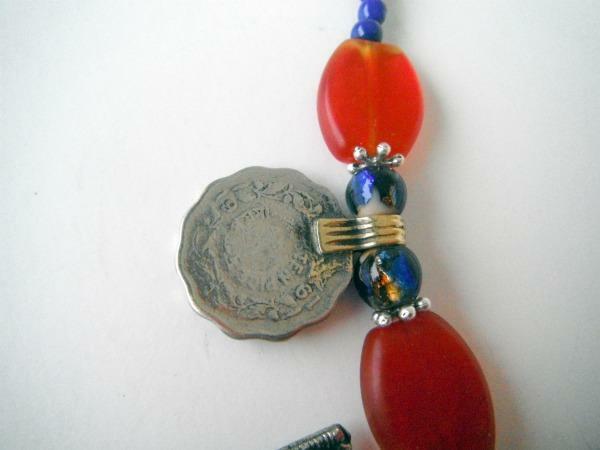 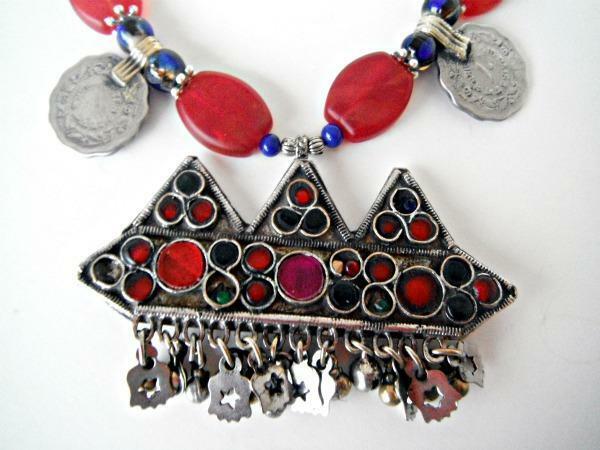 This stunning original design Middle Eastern Pendant Necklace comes with four red glass beads, two Persian coins and a spectacular vintage, triangular pendent. 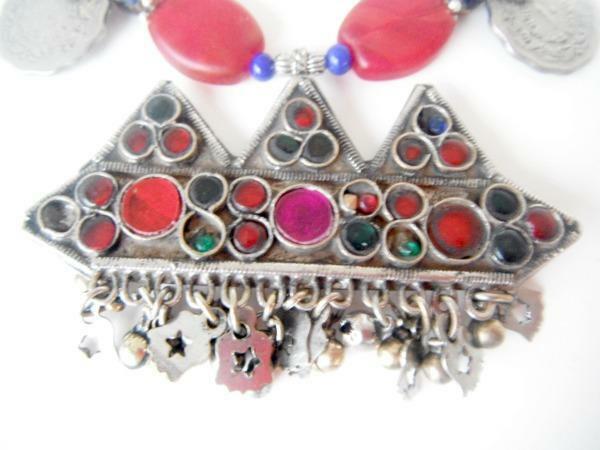 The pendent was from a broken Afghanistan necklace I acquired from a rug dealer. 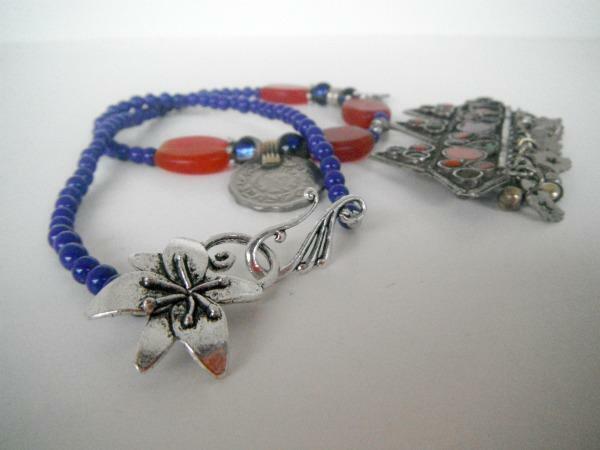 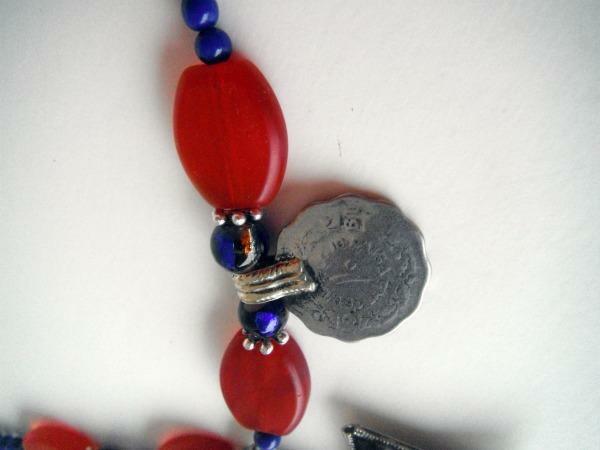 I added the modern clasp and the blue Blue Moon glass beads.